Set up PCR of 10 samples for MiSeq test library. Made 5x recipe of TBE and diluted to 1x for a 2% medium sized gel. To make gel comb large enough for PCR product, I taped 2 combs together. Did not take into account that I still needed to run out a ladder, so only ran out 8 of the 10 samples. Added 10 uL loading dye to 100 uL PCR products and was able to load 90 uL into wells. Ran out PCR at 110 V for 1 hour. Gel of 2b-rad libraries 9-30-15. Pink arrow is product to be cut. 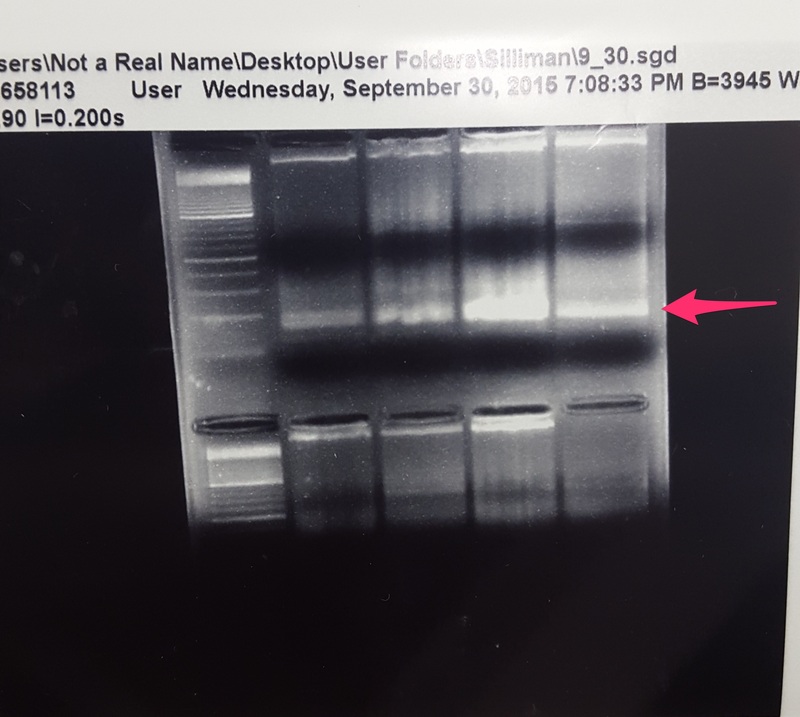 EtBr migrated to top of gel, so after cutting out the top bands (pink arrow), I soaked the bottom half of the gel in water with EtBR for 10 minutes before cutting out bottom bands. 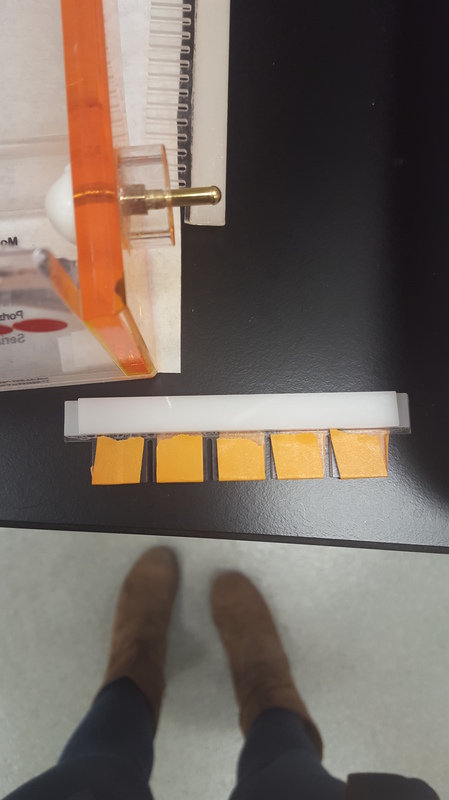 Based on recommendation in the Matz 2b-rad protocol, I cut up gel slice into 4 pieces and put them in separate 1.5 mL tubes with 40 uL of NF water. These were put in 4degC fridge overnight. I’ve never done this type of gel extraction before so was a little skeptical.